In her own way, She Who Must Be Obeyed, ageless goddess of the forgotten realm of Kor, Queen Hash-A-Mo-Tep offers the perfect counterpoint to King Kong. 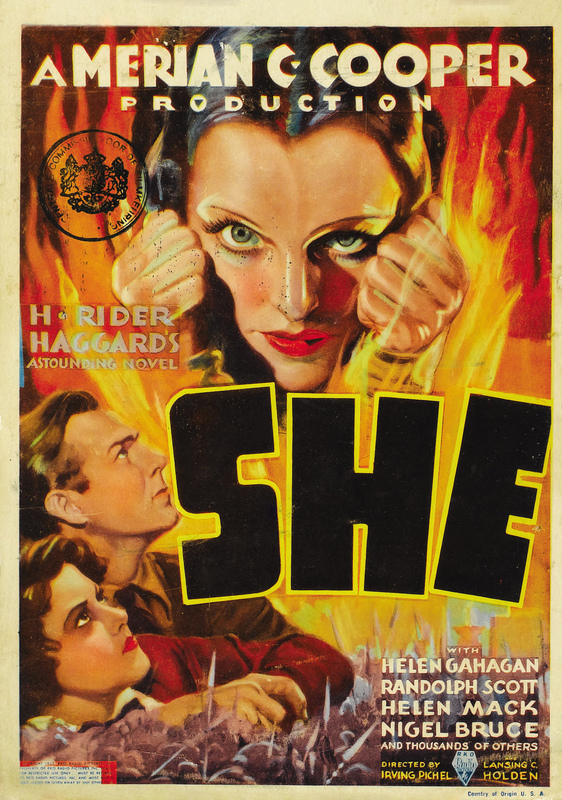 Both King Kong and She were produced by Merian C. Cooper and the films distinctly echo each other, although I would argue that Irving Pichel’s directorial contributions to She makes it the subtler and more complex of the two. 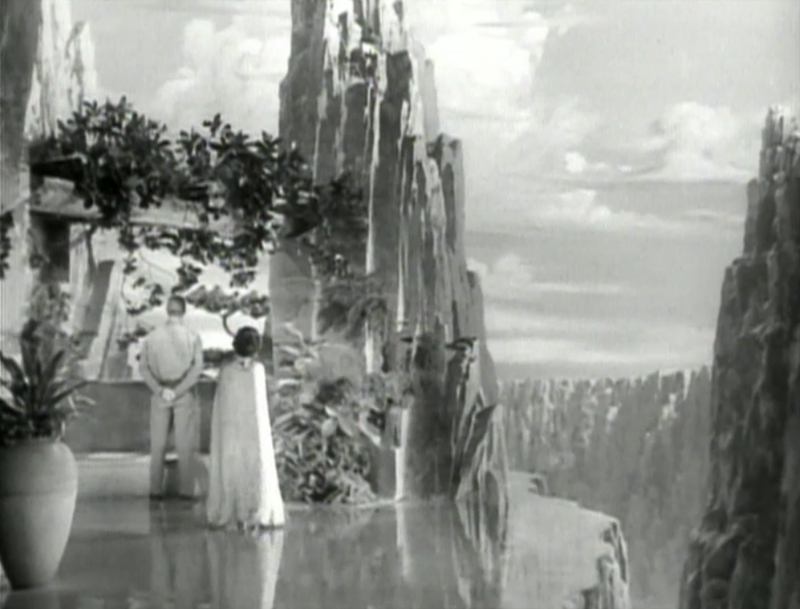 Both movies involve intrepid protagonists’ epic journeys into dangerous, exotic locations, reluctantly accompanied by female love-interests, to search for an elusive vestige of another time (Kong or, in She, the Eternal Flame of youth) which they hope to bring back to civilization. The somewhat expedient, bare plots of both films are constructed around the prospect of extreme spectacles. Most importantly, both films center on magnetic archetypes: a giant, ferocious ape, the ultimate incarnation of primitive maleness, or an ethereal, willful witch/goddess/queen, the quintessence of daunting femininity. 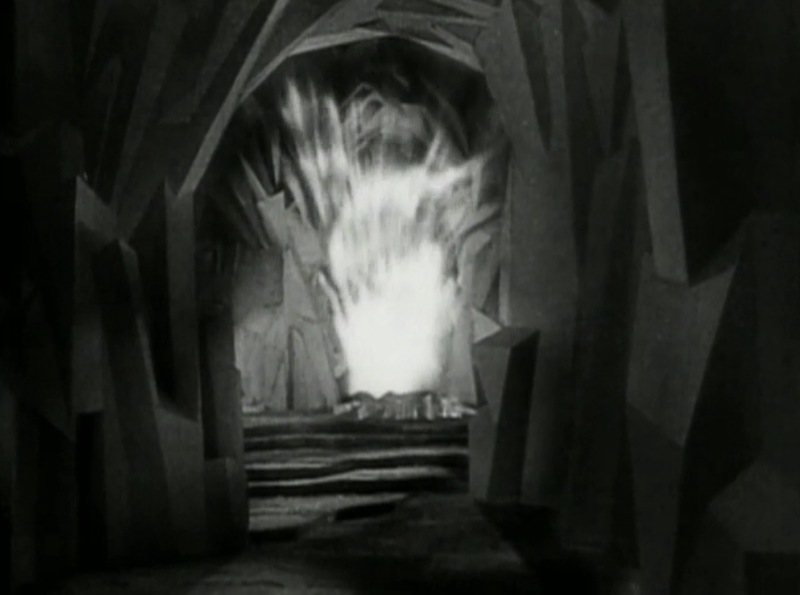 Both “monsters” show up at almost the midpoint of the movies after long, drawn-out ceremonial door-openings. Let’s face it, we don’t care half as much about the dashing protagonists or their shrieking girls as we do about Kong and She. 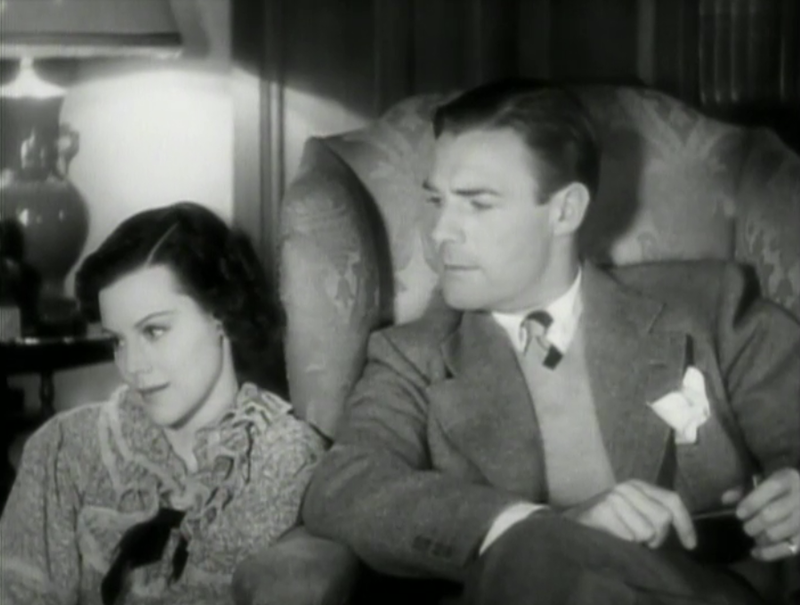 So, of course, these forces of nature have to succumb to the nice, mediocre couple in the end, but I love that Kong and She both allow us as audience members to unleash our inner demons for about an hour-and-a-half. And, despite whatever anyone wants to say about this film’s flaws (and there are plenty), that’s enough to make me like it. No discussion of this film would be complete without mentioning the art direction by Van Nest Polglase (who also did the iconic art direction for Citizen Kane) which I can only describe as bitchin’. 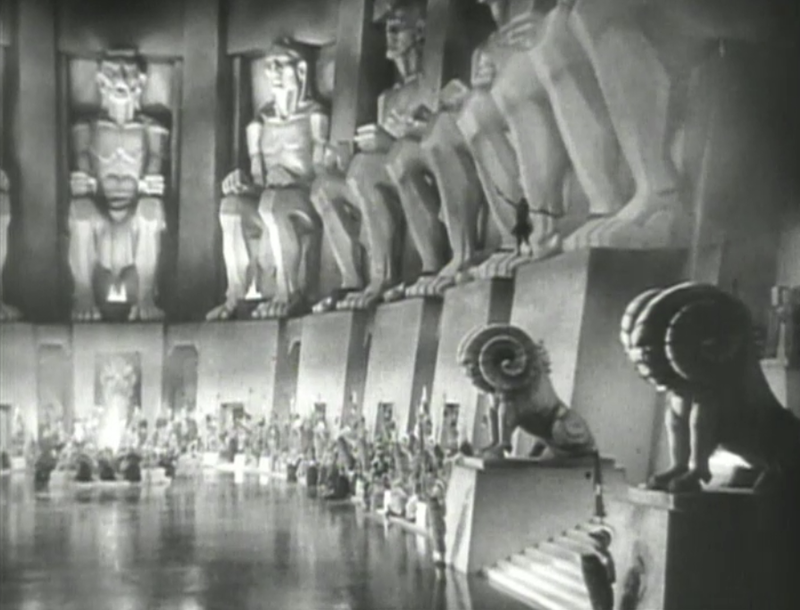 Huge deco statues of man-beasts? Yup. Silver branches, ring-shaped gongs, cliffside arbors? Oh, yes! The slick, exaggerated old-new mash-up of She’s palace endows this film with both a genius camp silliness and a mythic power. 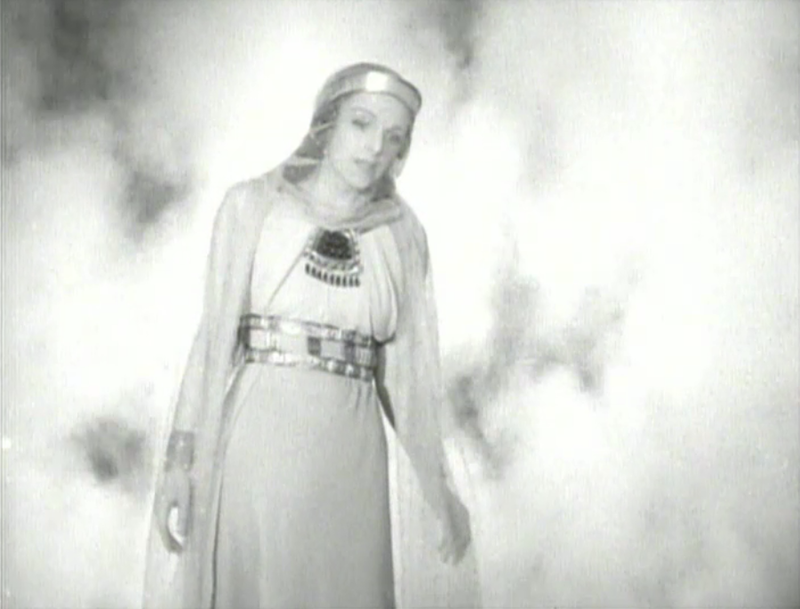 Just as She is both a modern woman and some kind of medieval dream witch (very Parsifal), the set looks both backwards and forwards in the chronology of design. It’s like Lang’s Metropolis and Karnak had a baby. Or like a production of The Ten Commandments on LSD. 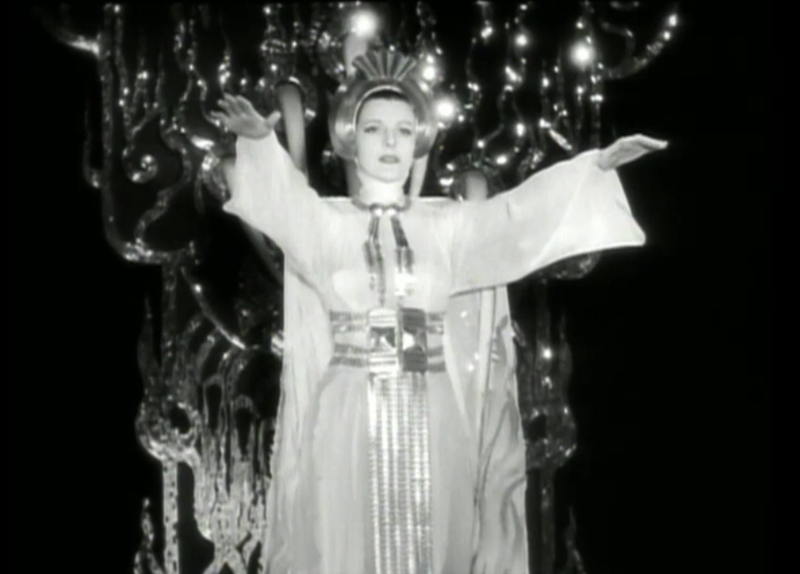 She Who Must Be Obeyed’s costumes also reflect this past-future duality. Her archaic tunics and medieval-ish crowns marry with a Flash Gordon sensibility that makes her wardrobe difficult to place in a distinct era. She is unbound by the time we know. Her path and her world is a tangent, blazing away from the accepted arc of history. Again, I was jesting, but, like all glittering generalities, this one encloses a glimmer of truth. Which is why She is such an interesting character. She brings a whole new hallucinatory awareness of time and space to the film, which had previously consisted of rather conventional adventure epic sequences. 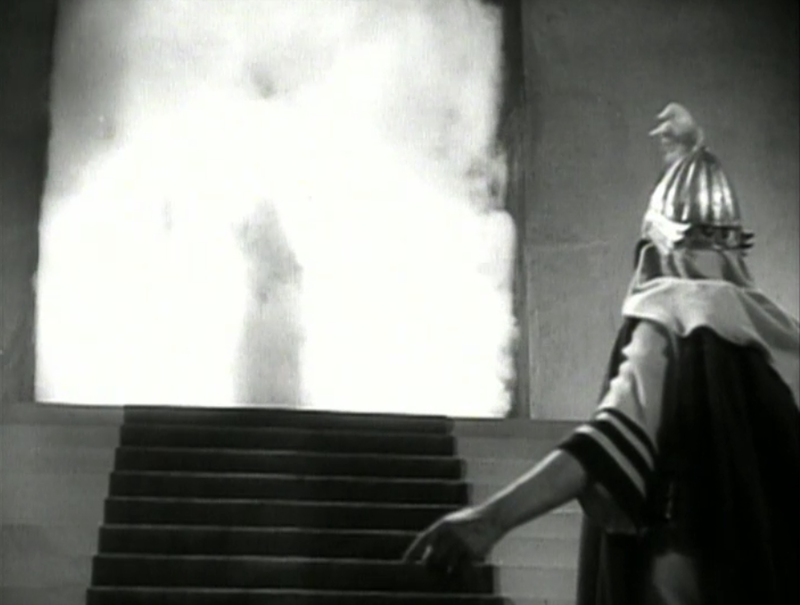 For instance, the first time we see her as a physical form, not just a smoke shadow, an ecstatic crane shot rises to meet her, surging up a set of stairs. 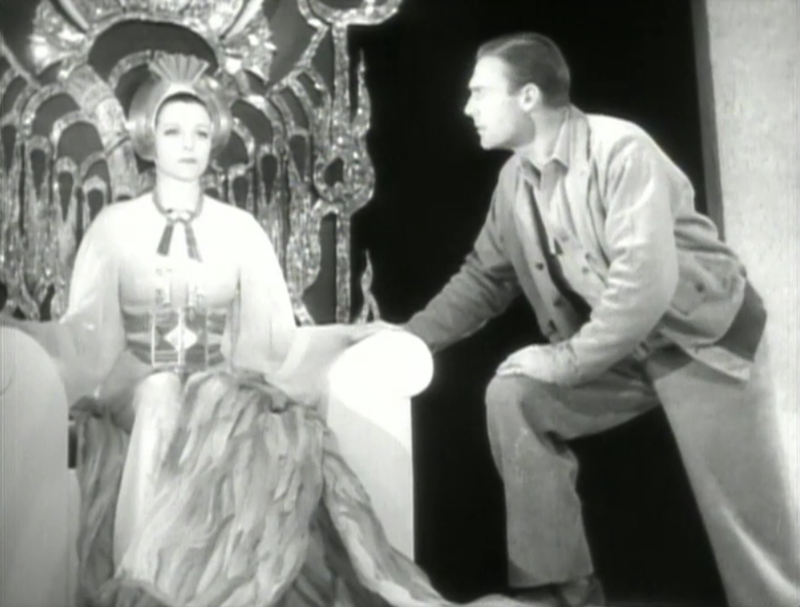 A piercing, operatic scream (Helen Gahagan was an accomplished opera singer) punctuates the moment with a flat, vibrato-less “white voice” that deserves comparison with Elsa Lanchester’s Bride of Frankenstein swan hiss. 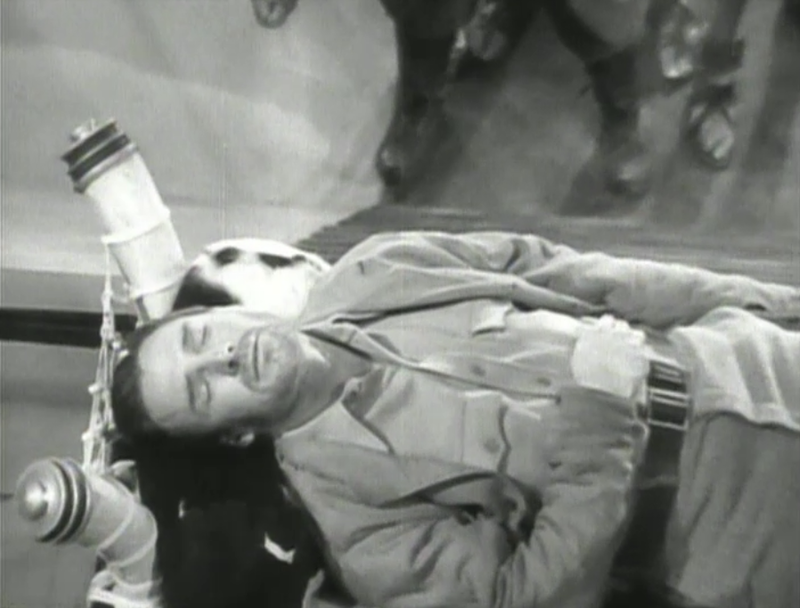 The next shot, this time focusing on the object of her affections, the unconscious Leo Vincey (Randolph Scott), swoops right into him from above. Upwards, then downwards, these tricky camera movements serve up far more visual exhilaration than all the tiresome avalanches and Arctic matte shots in the film. Anyway, in case you haven’t seen the film, She believes that Vincey is the reincarnation of his doppelganger ancestor, whom she loved and killed in a fit of jealousy… and whose corpse she keeps around, for God knows what purpose. So, she decides that this time she’ll get it right by keeping the boy toy in her enchanted kingdom and giving him eternal life. She makes a vision of this doomed romance appear in her gazing pool. 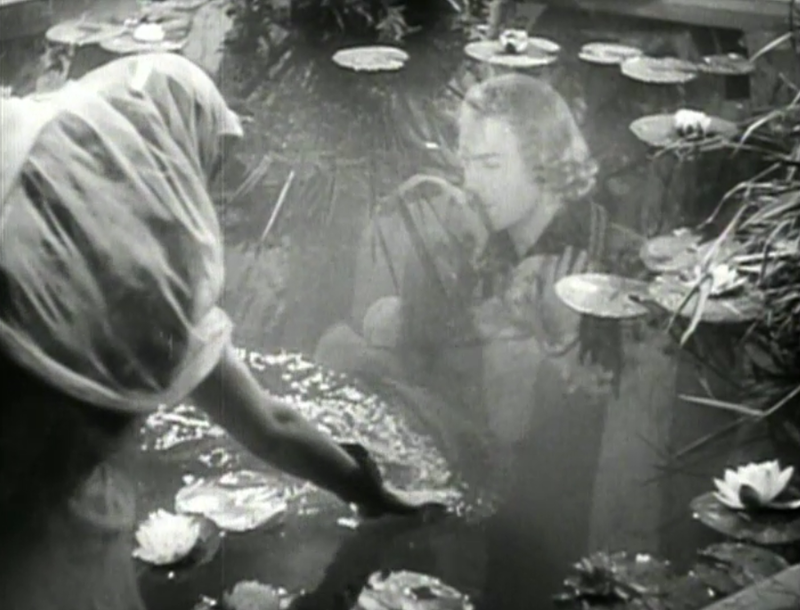 This flashback in the water closely mirrors the scene in The Mummy when Imhotep reveals the past to Helen. 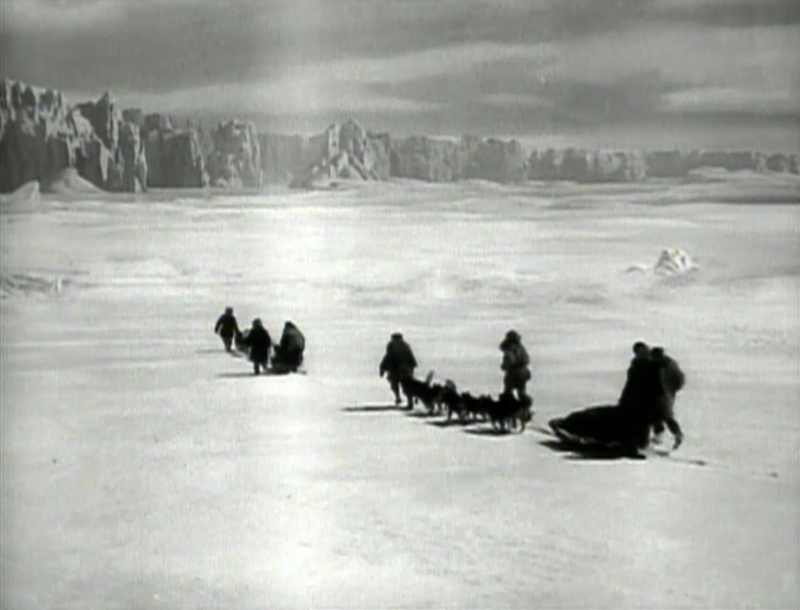 In that case, though, the past returns as a narrative, a film within a film, in the style of the silent cinema. For She, the past is a superimposed recollection—a moment in time that she calls forth. As She strokes the water to dismiss the mirage, there’s a personal quality, and intimacy to the eternalized kiss that makes it less creepy than Imhotep’s replay of the past. Imhotep is a conjurer, a magician. She is the mistress of time, comfortable with its ins and outs. She can swim in time’s waters without rupturing the narrative like Imhotep. I also find it amusing that we’re supposed to consider She Who Must Be Obeyed cruel and inhuman. Umm… her desire for vengeance and for eternal love are very human indeed. What else brings us to the movie theater if not our own impossible fantasies? Is it so wrong that this woman gets to live them out for us? It’s not just the average person’s fantasy she’s living out. She has also attained the dream of generations of scientists and rational men. 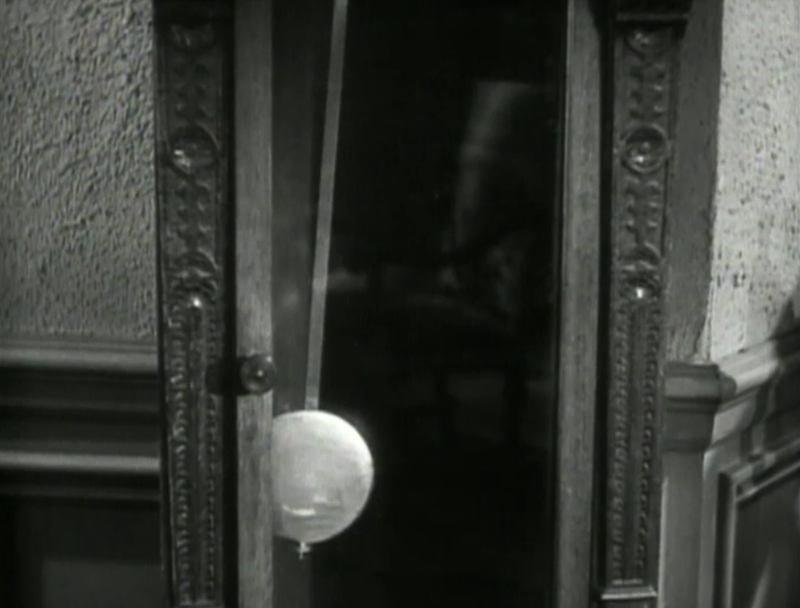 After all, the film opens with a shot of a ticking pendulum clock and the last wishes of a dying scientist, Dr. John Vincey—dying of radium poisoning which he ironically suffered as a result of his efforts to find a chemical source of immortality. 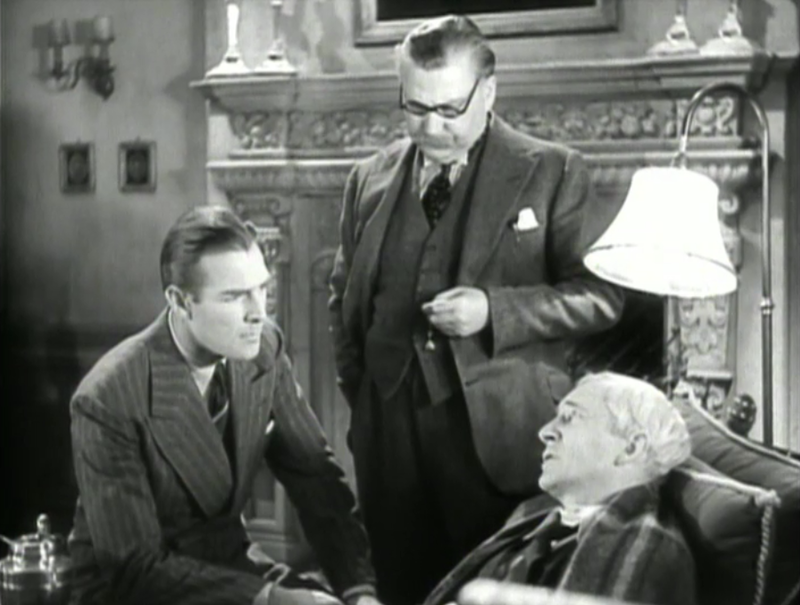 Pointing to the solemn pendulum clock, the invalid explains that he longs to conquer time and hopes that his long-lost relative, Leo, will carry on the quest for eternal youth by searching for it in northern Russia. So, basically, this wise, paternal figure is just a less successful version of She, longing for the eternal youth she attained? 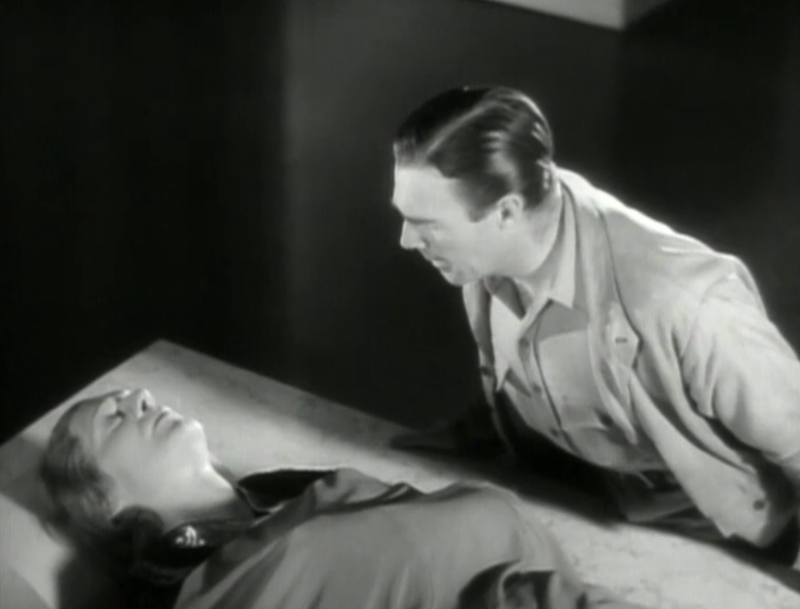 For me, the most insightful shot of the movie (and Lansing Holden and Irving Pichel’s direction provides many such moments) comes when John Vincey dies in at the end of a grandiloquent monologue about vanquishing death. 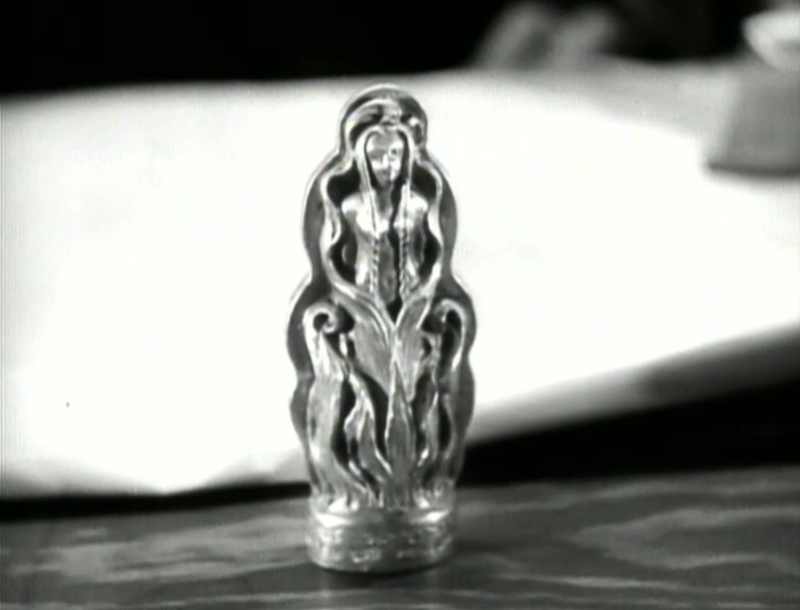 He collapses in his chair and the camera moves in to single out a gold figurine of She on his desk. This shot links the two together and hints that, however uncanny and foreign She might be, She really represents something fundamental in mankind—the hope of living forever. 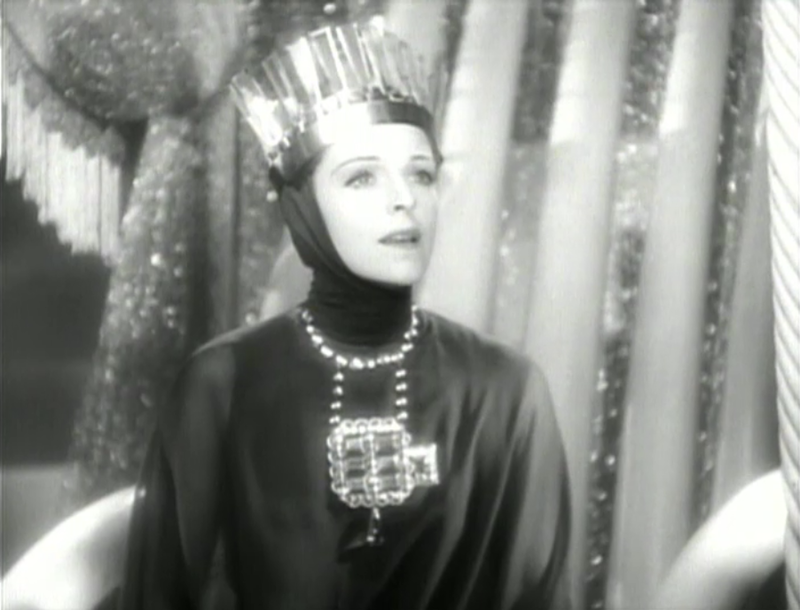 Of course, because it’s 1935 Hollywood, no badass queen gets to live forever. 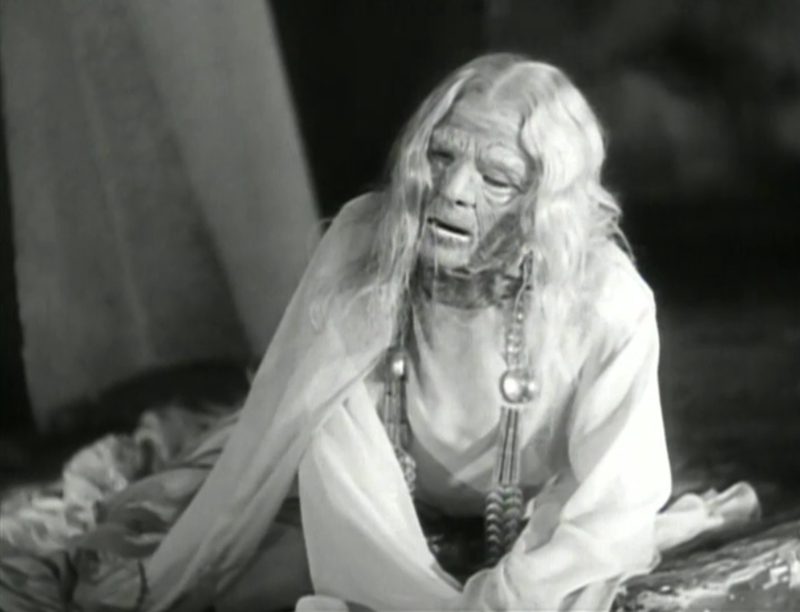 She dies pathetically, withering in the very flame that gave her 500 years of youth. The only eternal flame is the one that lives in every home’s heart and hearth, we’re told at the end. 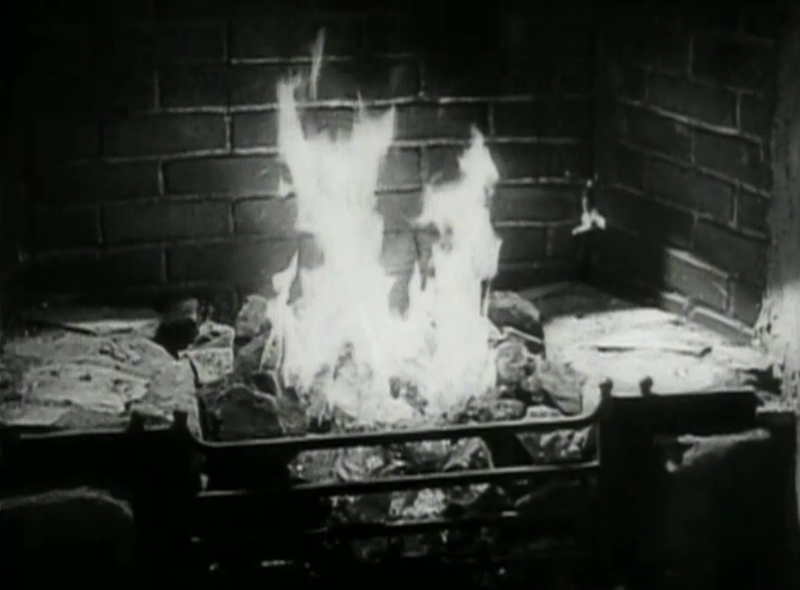 The mighty mountaintop blaze even dissolves into the cozy little flames in the fireplace grate. Hurrah for domesticity! But I find it hard to believe that, settling in his armchair in England, Leo, who threw over a She for a mortal, won’t be thinking of that dangerous goddess as his joints grow weak and his eyes grow dim. 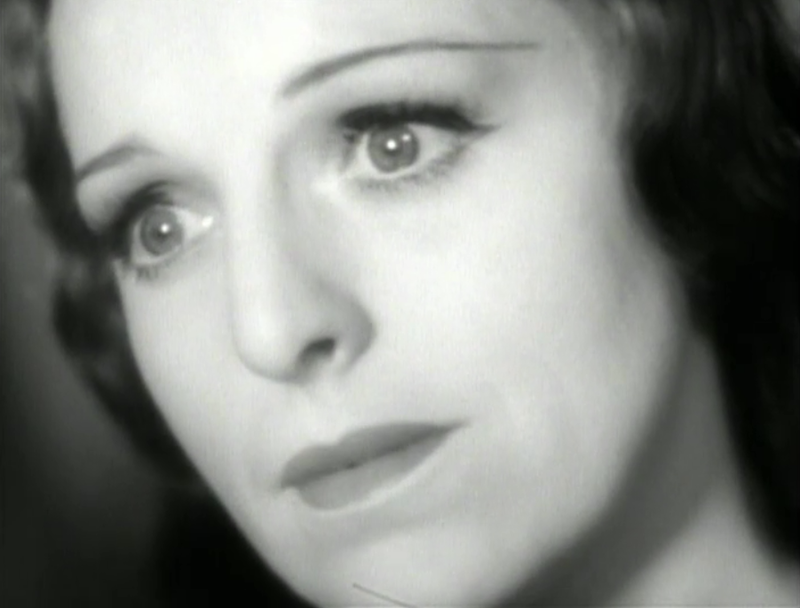 The genius of this movie is that, despite the hokey ending, we all share a glint of She’s wisdom. 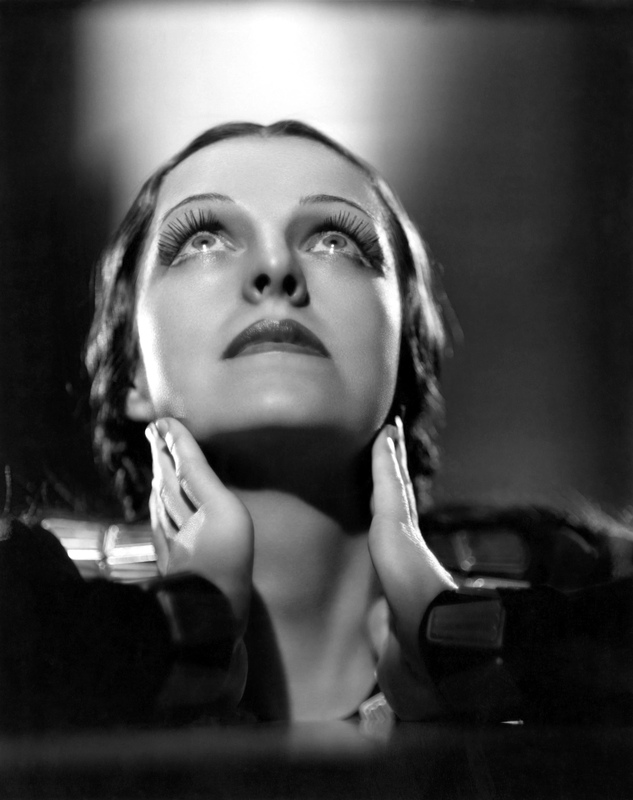 We see through the cute bunk and, seduced by the deco trappings and the maddened, fiery glow of Helen Gahagan’s eyes, we dream of ageless paradise. 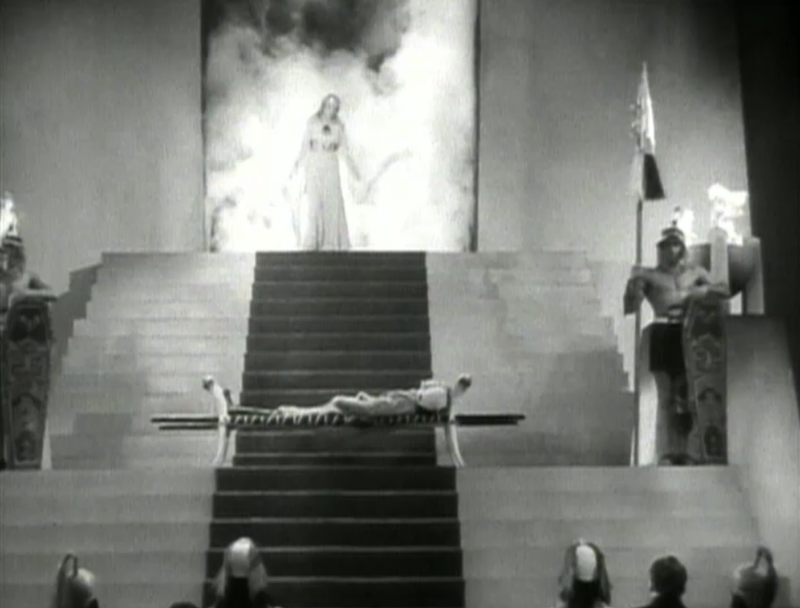 Even the rather conservative Photoplay magazine gushed about the film, “Here is a spectacle of magnificent proportions with the decadent effluvium of the tomb period.” Alas, in 1935, this rare orchid of a film nevertheless flopped—I would argue, primarily because of its incomplete escapism, marred by an unconvincing and somewhat bland ending. We almost lost this treasure to the ravages of time and neglect. However, fortunately She’s lost dominion has been recovered today… thanks to Buster Keaton no less, who kept a print of the film in his house! Queen Hash-A-Mo-Tep’s empire is “of the imagination.” And there, curiosity and longing will always triumph over quotidian things. 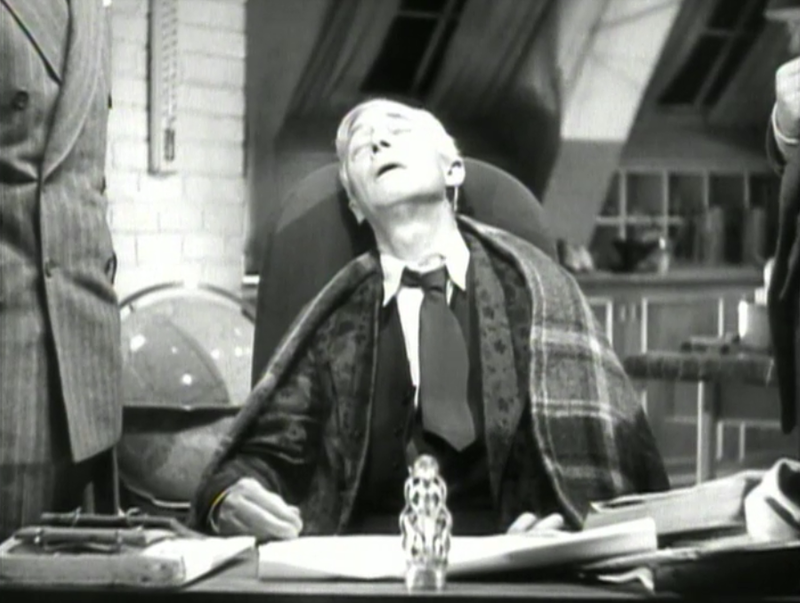 My reflections on this film were very much stimulated by watching it as a tweet-along with the #driveinmob crew. I particularly appreciated the sharp observations of @CulturalGutter and @Drive-In-Mob. I can’t recommend this weekly movie-event enough. Check out Drive-In-Mob and join us! The high quality images featured in this article also come from Dr. Macro. I intend no commercial gain from use of these files and ask that you please not use them for commercial ends, either. Thank you. 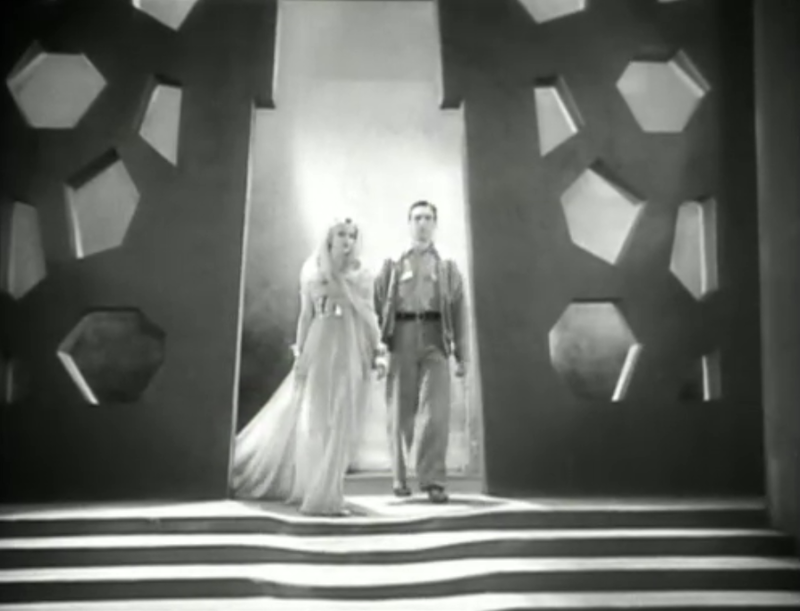 This entry was posted in 1930s, sci-fi and tagged 1930s, adventure, art deco, art design, deco, fantasy, Feminism, Helen Gahagan, Helen Mack, horror, irving pichel, lansing holden, merian c. cooper, nigel bruce, Queen, Randolph Scott, rider haggard, sci-fi, science, She by Nitrate Diva. Bookmark the permalink. 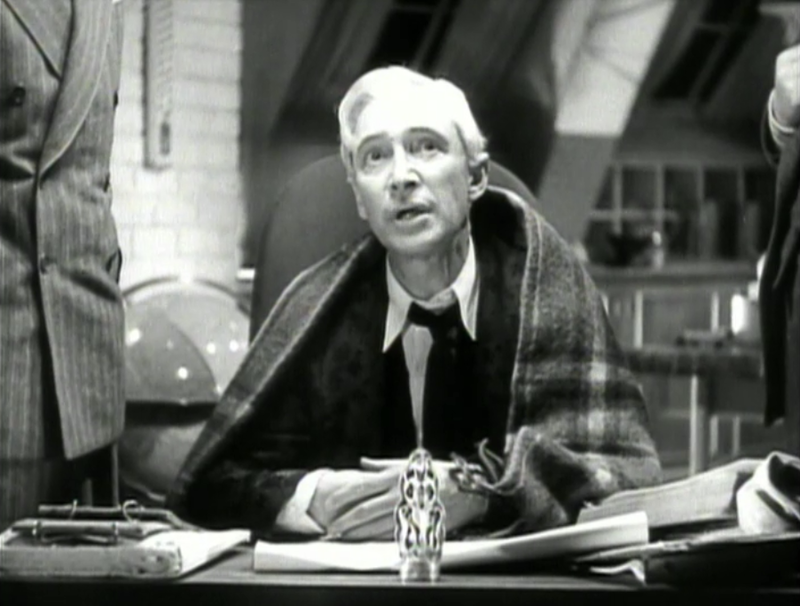 Terrific post, you make so many great observations about this film. 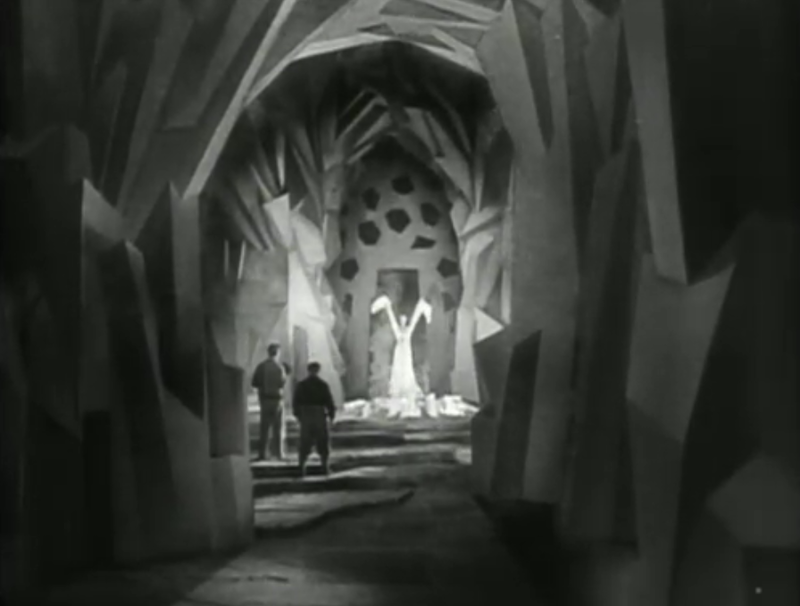 It’s also one of my faves; the sets are just stupefyingly grand. Ray Harryhausen has said it was a big influence on him (so you KNOW it’s good!). What’s so fascinating about the film is how it combines a stately grandeur with an almost innocent camp sensibility. 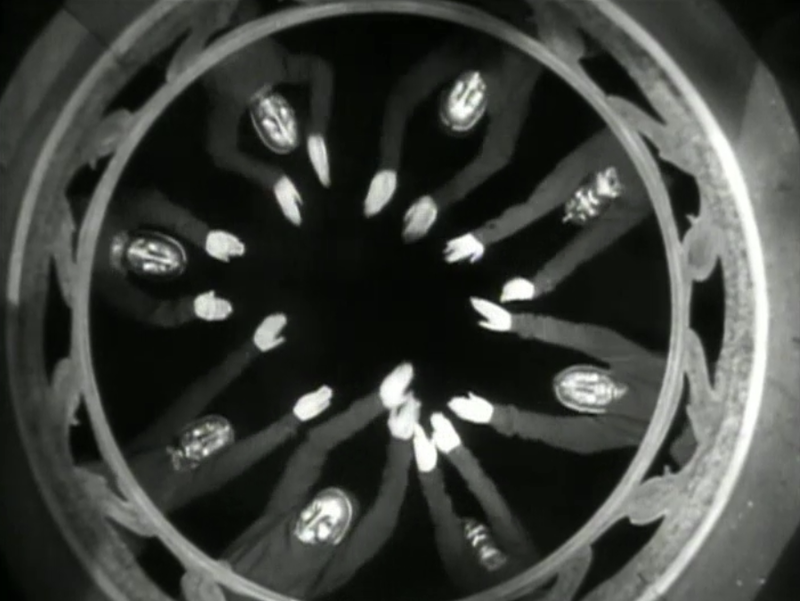 I always find the climactic sacrifice sequence, capped by its deliriously mad dance (it’s like a blend of Busby Berkeley and Denishawn) mesmerizing to watch. Perhaps the film’s bigness was just too much for audiences of the time to take, and that’s why it flopped.